The increasingly precarious conditions facing the North American working class, along with a rising tide of distrust and disgust with both our political and economic systems, demands that revolutionary organizations such as Workers Solidarity Alliance take immediate action to address these issues. 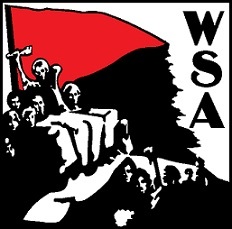 To this end, WSA has committed to launching the Anarcho-Syndicalist Initiative to Create a Revolutionary Union Movement (ASI for short), a project which seeks to unite North American anarcho-syndicalists and focus our strength and resources toward building a working class movement capable of defeating the capitalists and establishing libertarian socialism in North America. We seek to organize groups of anarcho-syndicalists who are, or will become, active in community and workplace struggles. Organizing activity will include building and/or participating in solidarity networks, grassroots workers centers, rank and file groups within business unions, industrial networks, independent unions and workplace committees capable of forming the basis for union-type organizations. The essential unit of the ASI project will be the Local Group, which will then be organized into Regional Federations, and finally united in an overall Federation of North American Anarcho-Syndicalists. Local groups will engage in activity both in the community and in the workplace, addressing issues of housing, anti-racism and the environmental disasters created by rapacious neo-liberalism. The Anarcho-Syndicalist Initiative is an effort that is long overdue. Building a revolutionary union movement will take time and commitment, but we cannot delay our efforts. We must move forward with energy and resolve. Each day that we delay can be measured in environmental destruction and the destroyed lives of working people. “…secretary@…” is the email I assume? Yes! If you’d like to reach out to us to start building your community’s Local Group, please reach out to us at wsa.corresponding.secretary@gmail.com. But before doing so, please take some time to visit our website, to read our Constitution and our “Where We Stand Policy.” Solidarity! Will do! If you’d like to reach out to us to start building your community’s Local Group, please reach out to us at wsa.corresponding.secretary@gmail.com. But before doing so, please take some time to visit our website, to read our Constitution and our “Where We Stand Policy.” Solidarity! We read this announcement and thought you might be interested in learning more about CNT Bot. CNT Bot lowers the costs and reduces the time involved in organizing in a confederative and delegate-based manner. The platform is based on Internet Relay Chat (IRC), which is an open protocol that’s been around since before the World Wide Web. The CNT Bot processes, while not officially affiliated with the CNT, are based on the political organization as it existed during the Spanish Civil War. CNT Bot avoids the major problem that the CNT faced back then. Namely, timely decisions often necessitated foregoing established bottom-up decision making protocols. This led to the emergence of an established CNT ‘leadership’ that made certain decisions and, at key times, only loosely consulted the wider CNT membership. As anarchists, I don’t have to explain the risks when that sort of thing happens, of course. It’s hard to blame the CNT, though. Holding plenaries and delegate meetings, with the goal of linking different industries and regions together, takes time. Time to find agreeable times and dates, time to agree on and announce the agenda, time for local groups to decide their position on the issues, etc. To further complicate matters, traveling itself has real costs. Those costs are significant and impact organizing. Today, why not create confederate structures, controlled from below via delegates, that are linked to one another in real-time? Please let us know what you think. We’d really appreciate any and all feedback on our project. I have tried to reach out, but have yet to hear anything. Please do let me know, for I would like to participate in this long overdue initiative. Please see, for example, the following that I have written, as a columnist for a paper in Maine. 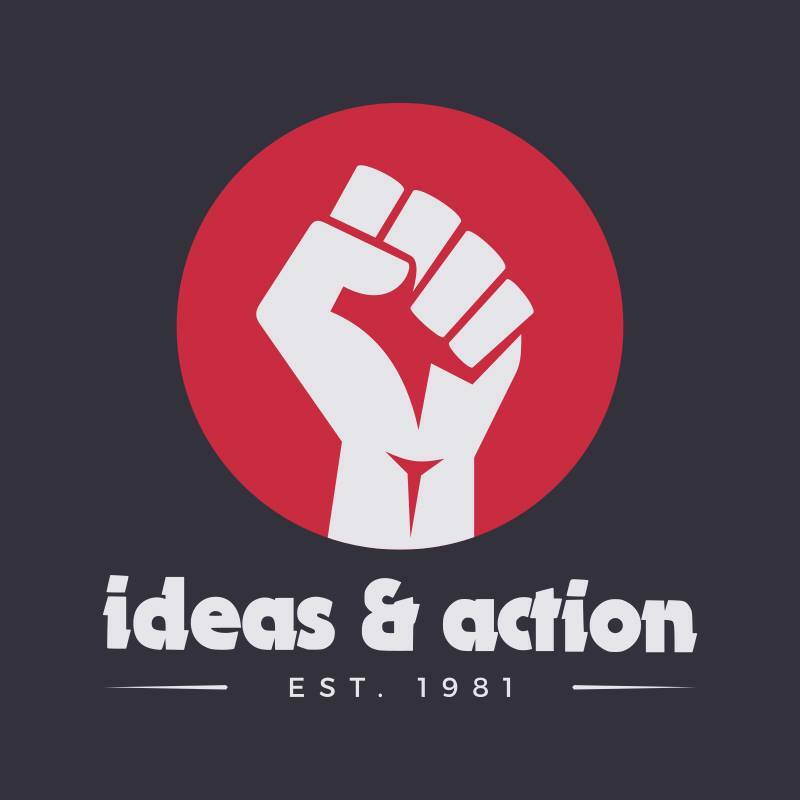 Also, if you would like to re-print it, in “Ideas and Action,” that may make for an interesting read! As a student of applied mathematics at USM, and formerly a student of chemistry and physics at the University of Maine, who has co-authored peer-reviewed academic journal articles, I approach problem-solving and critical thinking by way of data-driven theory and reproducibility. That is to say, I utilize the scientific method, algorithmic thinking, and methods employed by analytic philosophers to arrive at empirically supported conclusions, rather than turning to fundamentalism and ideology to understand the world. Of course, as Slavoj Žižek – the Slovenian philosopher of psychoanalysis and Hegelian Marxism – points out, we are all inherently objects of what Jacques Marie Émile Lacan called the “big Other,” that is, we are all subjected to an order which structures each of our perceived realities, thus illustrating that we are creatures of ideology. However, by coupling Cartesian logic – as presented by French philosopher René Descartes – epistemological reasoning and natural philosophy (what we now call science), we are able to overcome the uncertainties of the world, which follow from being intellectually trapped as an ideologue, and make rational progress in solidarity with each other. With consideration to my thoughts on perception and unity already put forth herein, one may quickly surmise that I do not feel comfortable boxing myself into ideological frameworks. However, after immersing myself into the depths of social and political philosophy, I attempted to diligently pour over the ontological underpinning of a vast array of economic schools of thought, as well as threads of politics, as a means of trying to identify a just and egalitarian structure that we can build from, or learn from, as we collectively struggle to advance human rights. Consequently, the values of a form of socialism (libertarian socialism) seemed to not only epitomize the classical understanding of the human condition, but also extended the notions of freedom and justice, that follow from The Enlightenment period, to the industrialized and modern age. Yet, I do not stand alone with respect to this assessment. If anything, I must regard myself as a student of those who explored the frontiers of this form of political and social order, such as Rudolf Rocker, Emma Goldman, Mikhail Bakunin, and Noam Chomsky, who has been, for me, the most influential public scholar. After I achieved this level of awareness and appreciation for what seems to be a logically consistent form of libertarian socialism, which is also referred to as anarcho-syndicalism in particular contexts, I prepared a conference presentation titled “An Exploration of Anarcho-syndicalism as an Environmentally Sustainable Solution to the Current Anthropogenic Ecological Crisis.” Within the domain of an academic conference presentation, I was pleased to reintroduce the labor centered school of politics to those in attendance at the 2015 Maine Sustainability and Water Conference. However, all of this transpired prior to Bernie Sanders joining the race for the White House by way of running as a member of the Democratic Party. Even though I joined the party of neoliberal ideology to caucus for Bernie Sanders in Maine and resigned from the party the next day, I became deeply concerned for two reasons. Secondly, my worry extends to the now common use of the word socialism by the progressive branch of American liberals. Prior to Sanders, the word also suffered misrepresentations and abuses such that it lost most of its semantic value. The little linguistic value it held before Bernie emerged was sustained by Z Magazine, Jacobin, writers such as Chris Hedges, and economists such as Richard Wolff of UMass Amherst. Nevertheless, the central defining tenant must not be forgotten: that is, socialism, as a social philosophy and an economic system, is defined, primarily, as collective and democratic ownership of the means of production. Having written various columns for The Free Press under the banner of “The Millennials Conscience,” I felt compelled to attempt to provide readers with a social, economic and political context for future readings of my opinion pieces. This hopefully serves as an attempt to provide further insight into this millennials’ conscience.